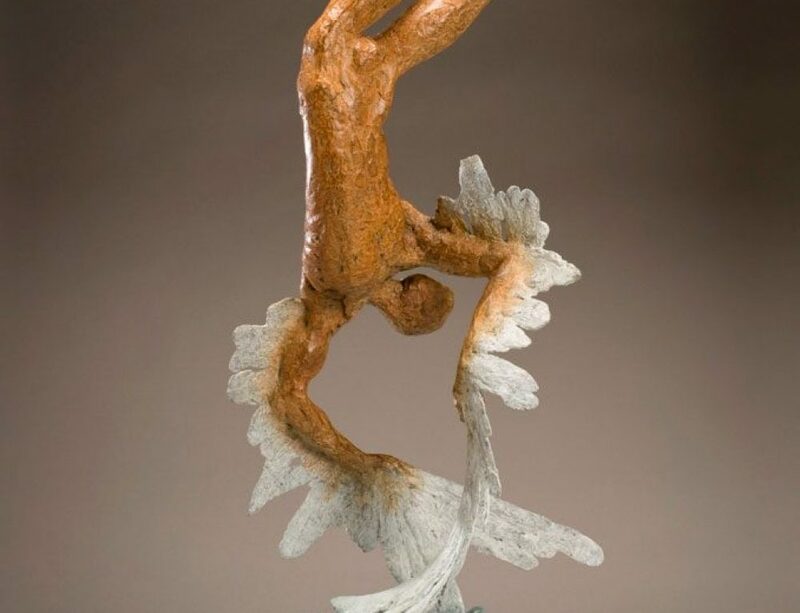 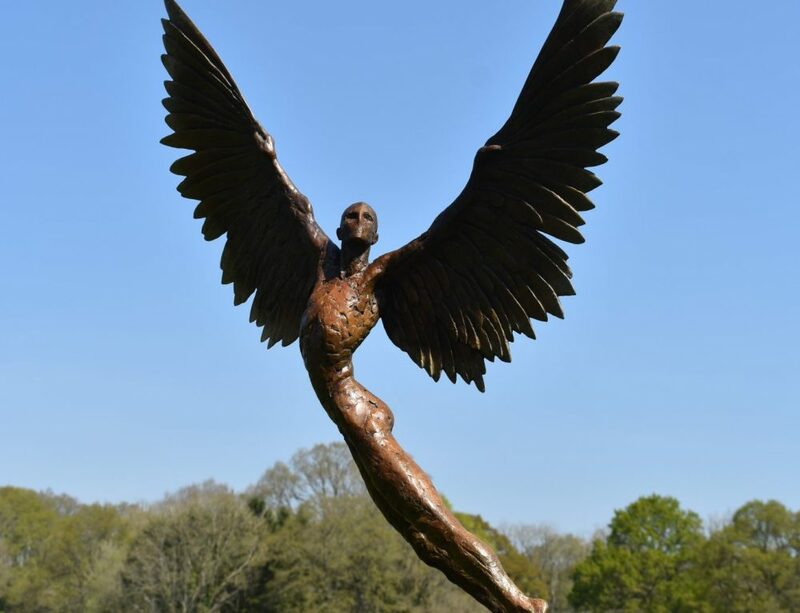 This piece of sculpture shows the mythological figure of Icarus falling from the sky. 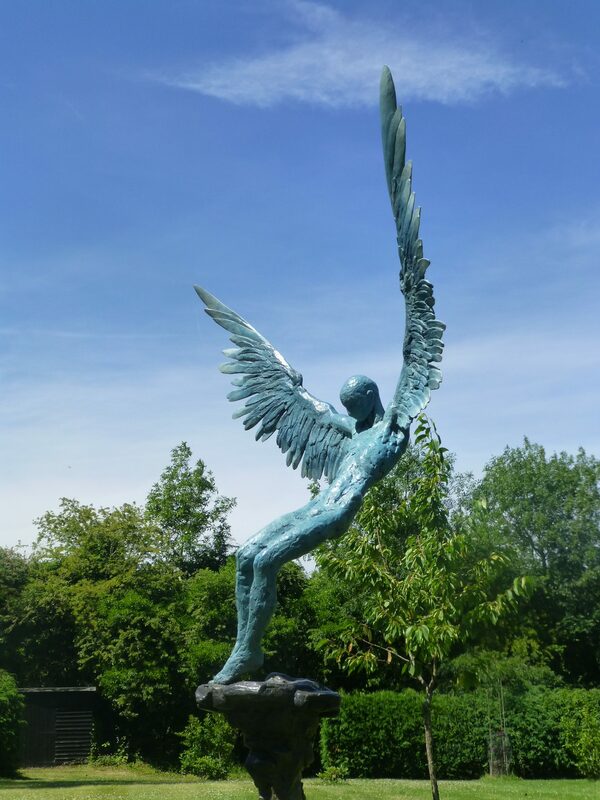 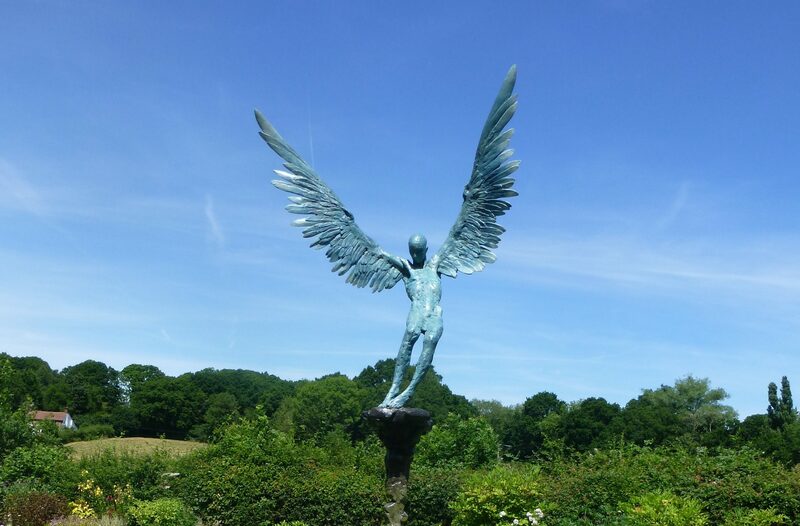 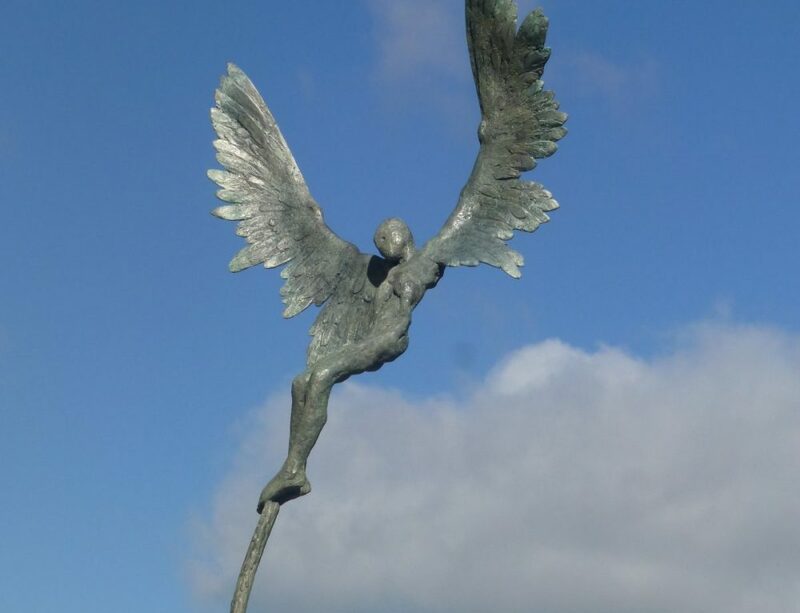 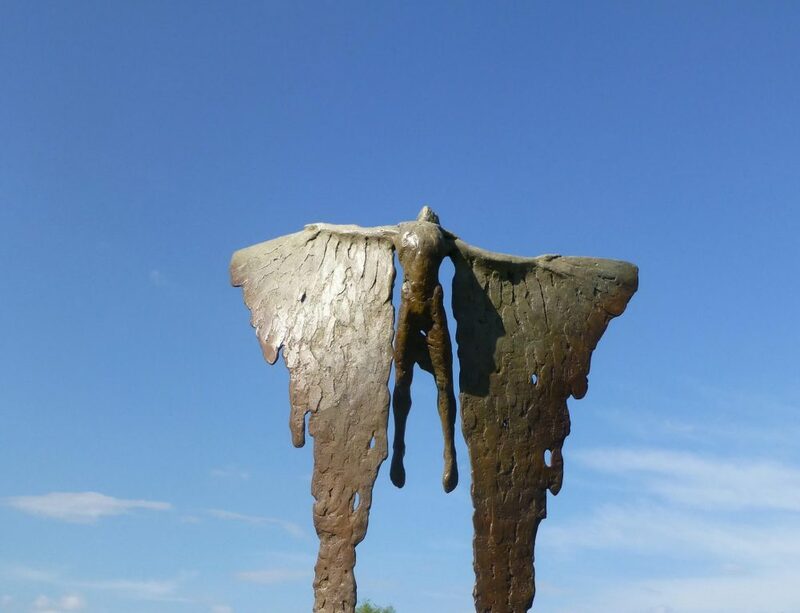 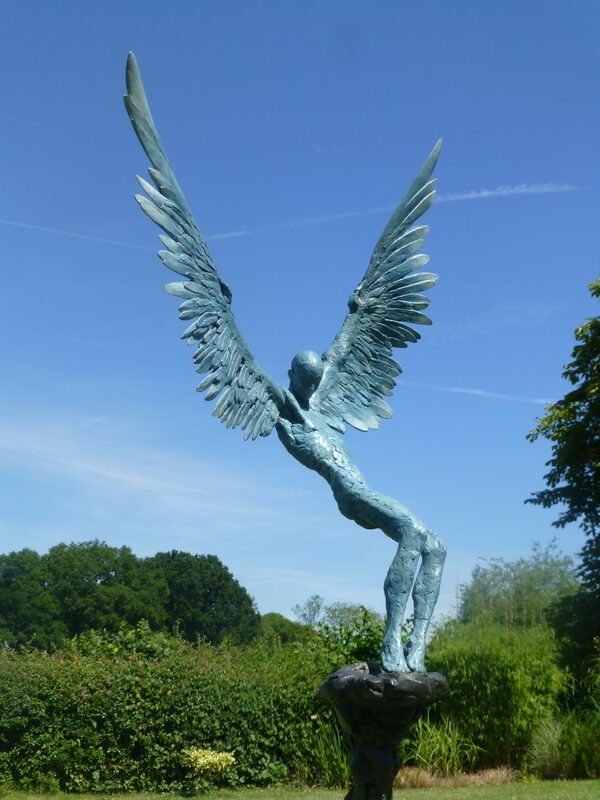 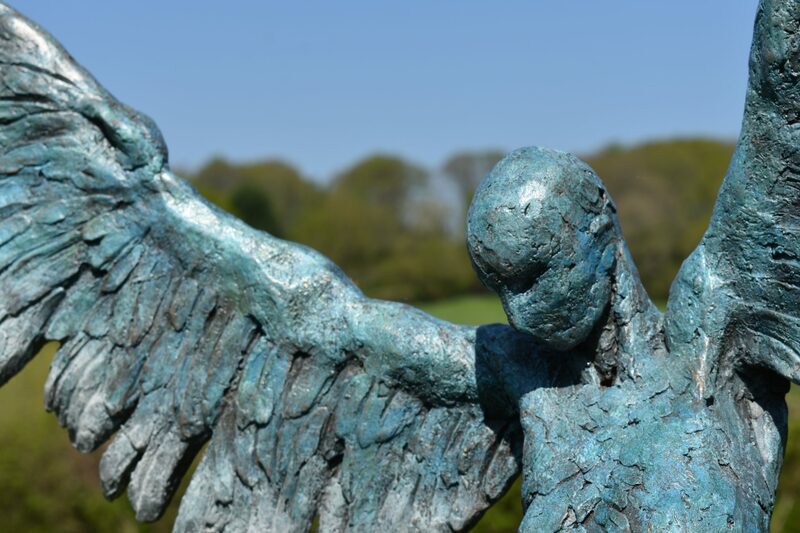 The patina colour on this bronze is blue to reflect the colour of the ocean Icarus falls into. 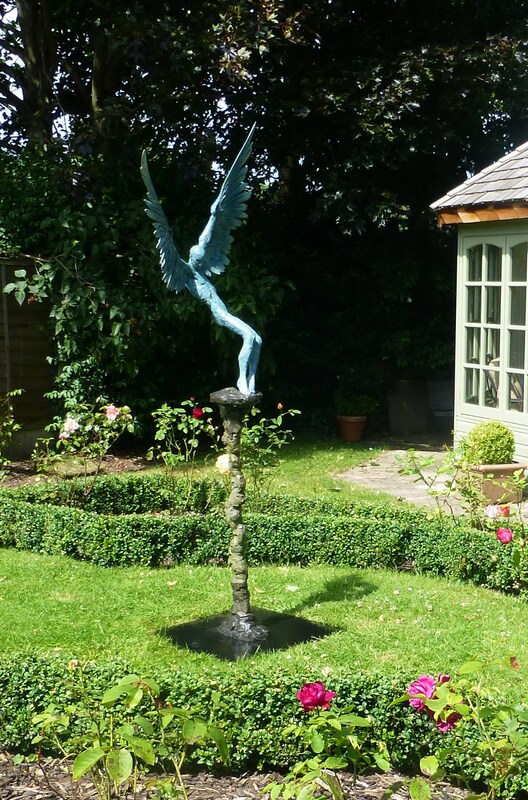 Shown here at an exhibition at Doddington Hall and also in a private client’s garden. 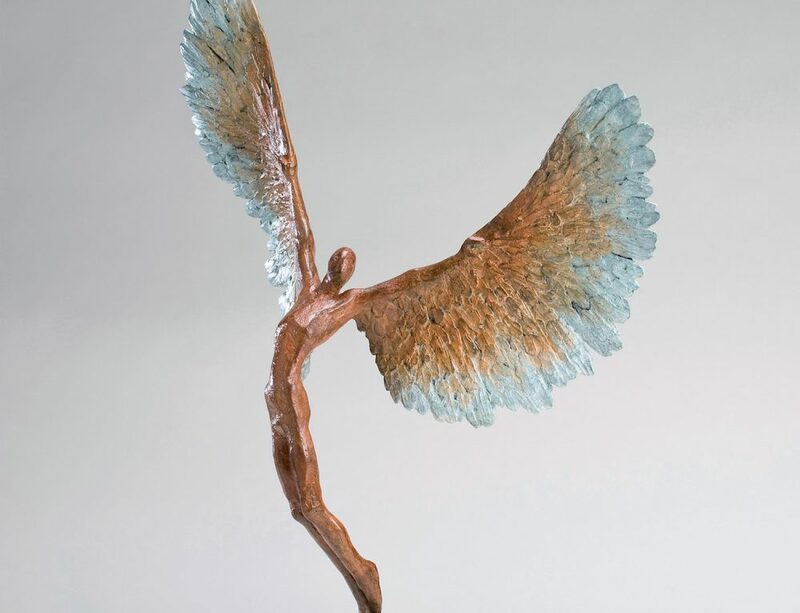 This is a bronze sculpture, an edition of 9, it is 206 cm high.